ASE Warehouse address, phone, website, and more. 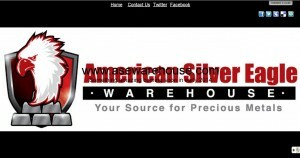 American silver eagle warehouse was founded in April 2013 in Arizona. We are a premiere provider of International and domestic Bullion. Specializing in american silver eagles. American silver eagle warehouse is a premier source for precious metals online. We specialize in selling high quality silver and gold Bullion products. Including official national government mint and private Bullion.